Fun, easy to manoeuvre and surprisingly spacious, the new Volkswagen Up! is a small car with big ideas! 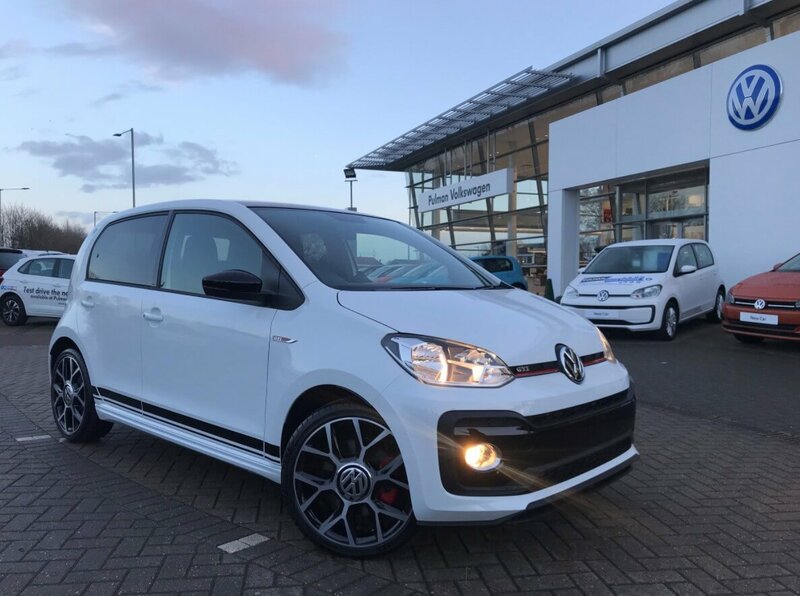 Combining sleek design and clever technology, it is one of the best city cars around! You can tell the GTI apart from the regular up by the GTI styling pack. 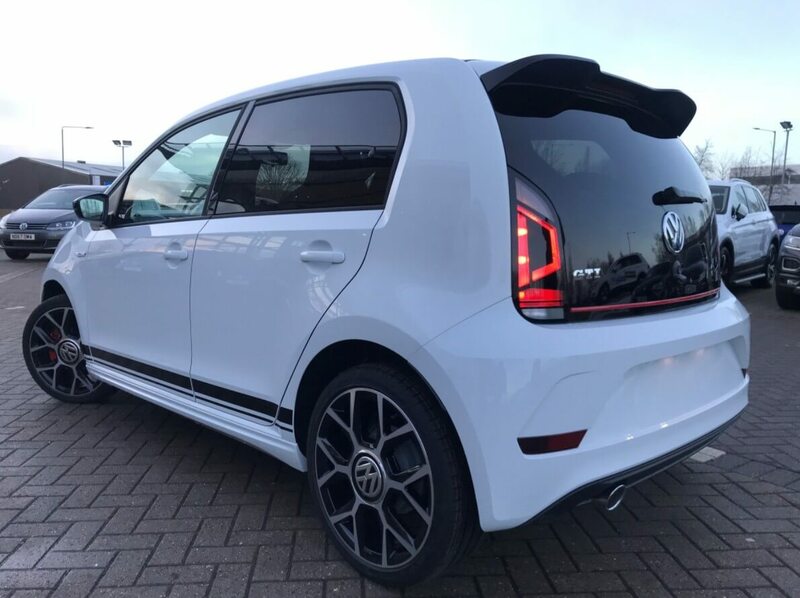 Our new 'Pocket Rocket' comes complete with a GTI badge on the front, boot and front wings, red stripes across the grille and boot, sporty alloys and a surprisingly large spoiler. Inside, there are lots of GTI tweaks too. 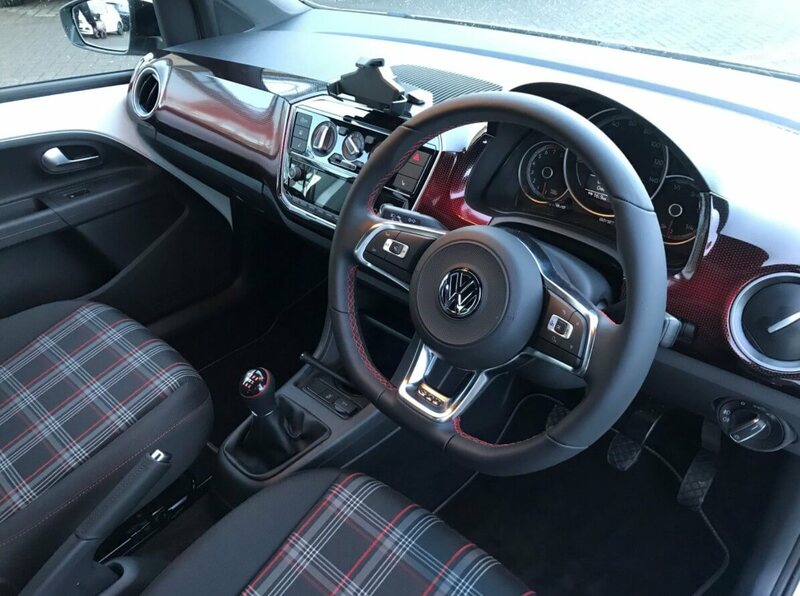 You get GTI style tartan cloth seats, a GTI gear knob, red contrast stitching on the steering wheel and even red mood lighting across the dashboard. You also get a small colour screen and a cradle for your smartphone. Even more practical is the Up! GTI comes in 3 door and 5 door variations. If you plan on using the back seats then the 5 door would be most convenient. As with all the Up! models, passengers in the back won't be rubbing shoulders as it is surprisingly spacious. Compact dimensions, a low weight and a powerful motor with a maximum speed of 197 km/h: This is the new Volkswagen up! 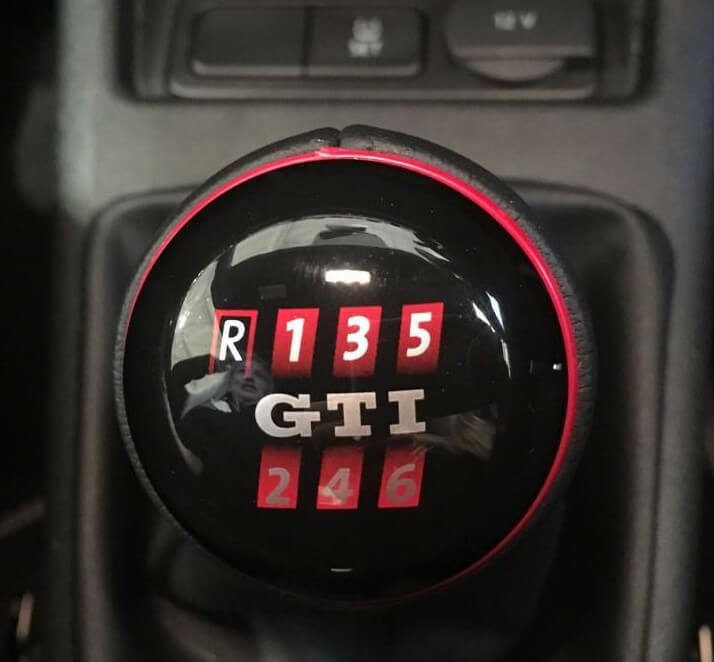 GTI. Check out the newcomer meeting a Golf GTI of the first generation!